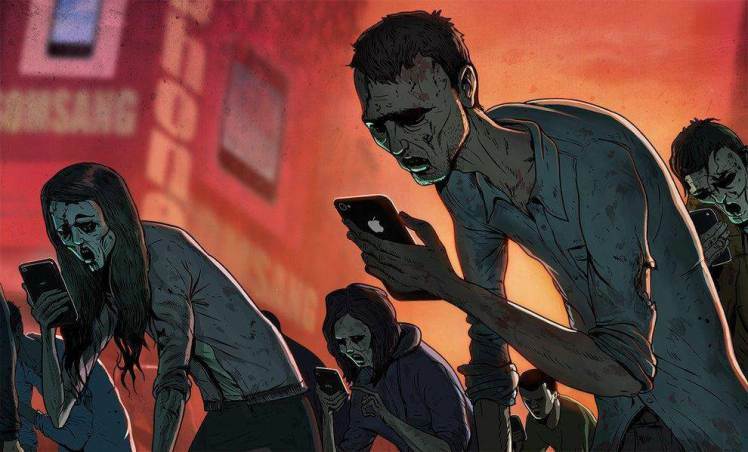 The world is becoming a very interesting place, people are so disassociated with what is really going on that it is becoming scary. 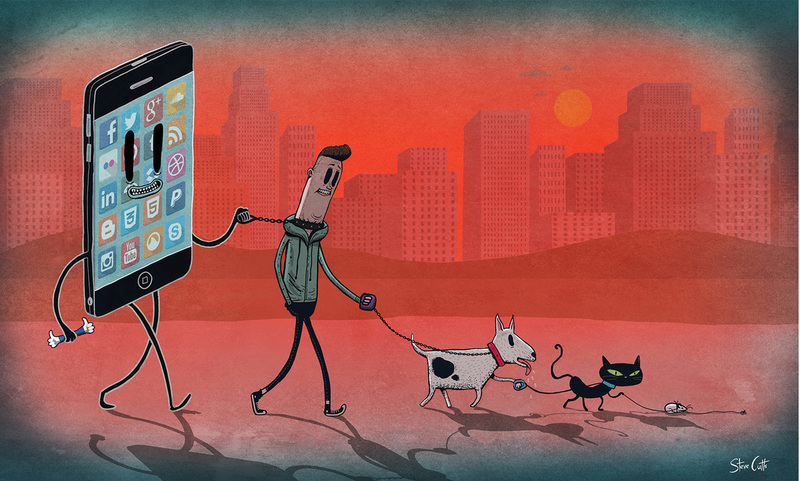 Everything has become convenience or ignorance, augmented realities and distractions are the new way. 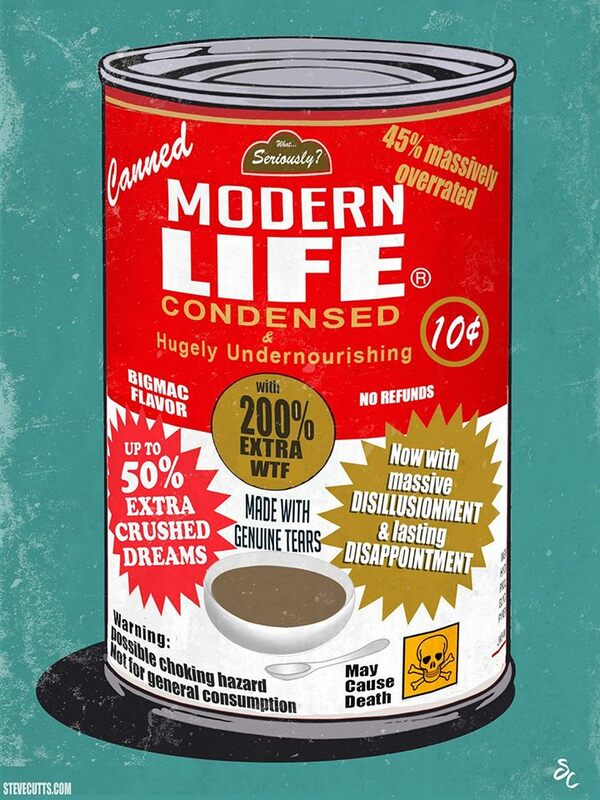 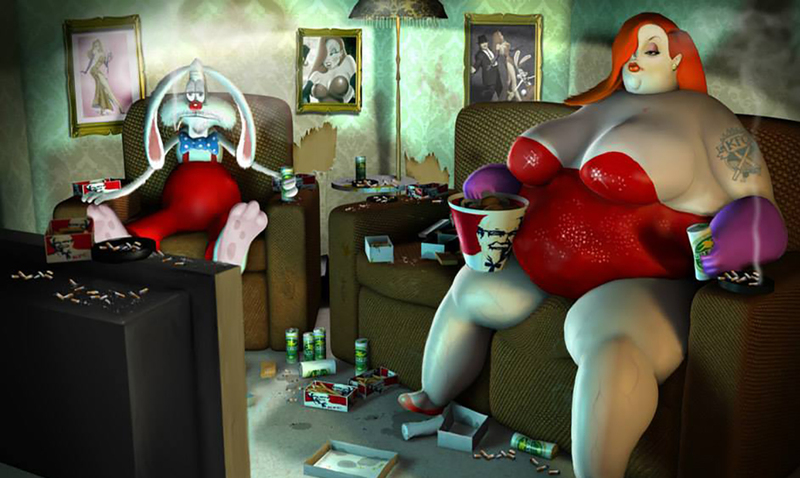 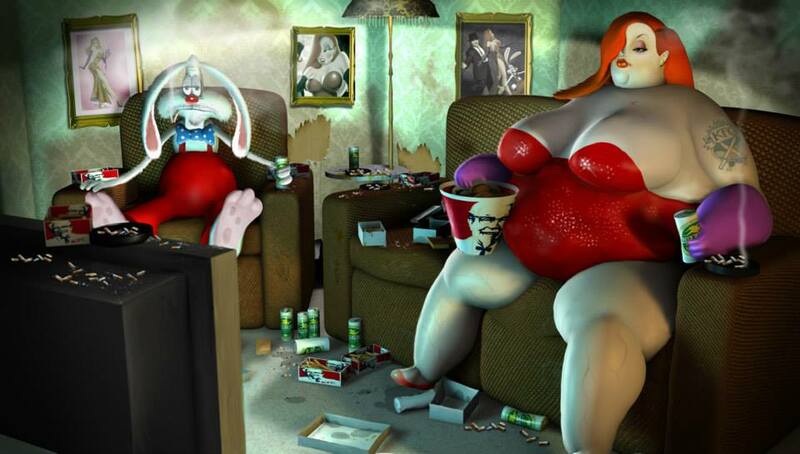 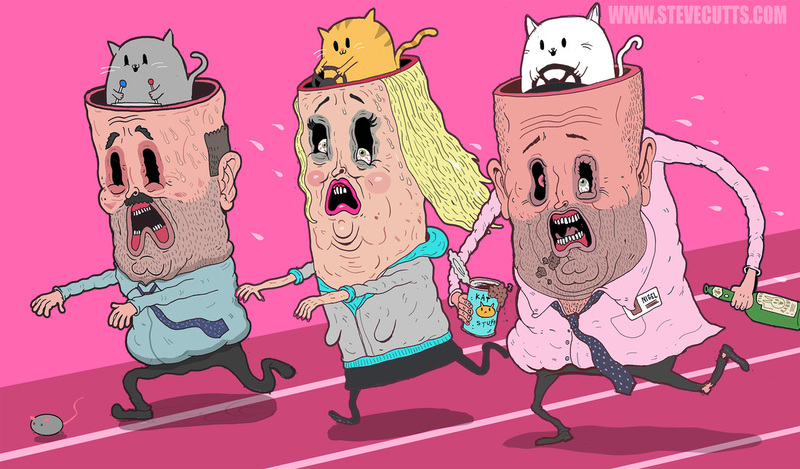 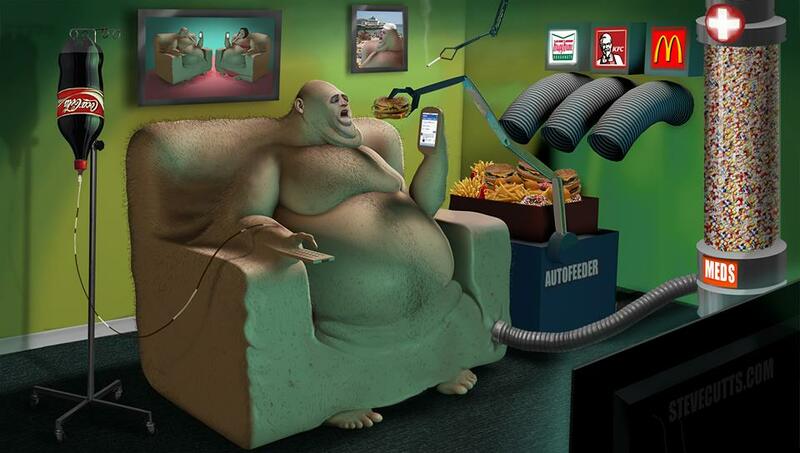 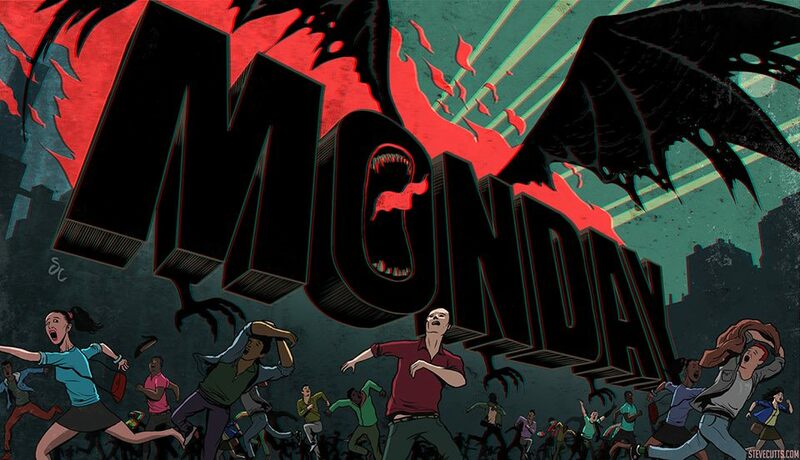 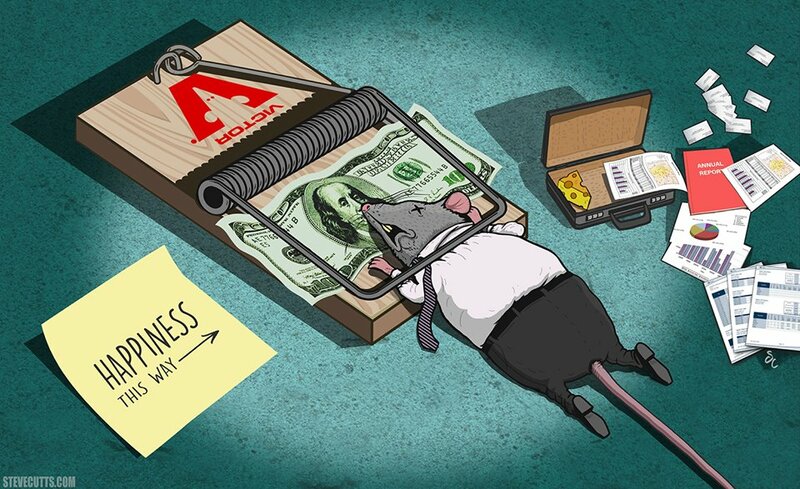 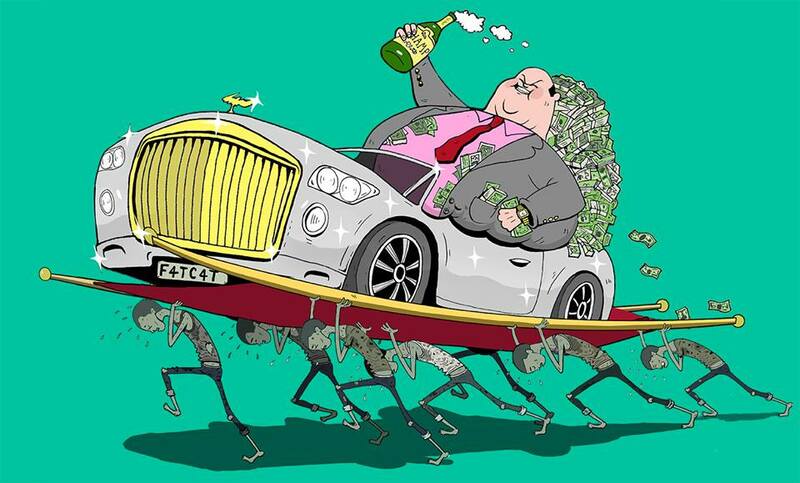 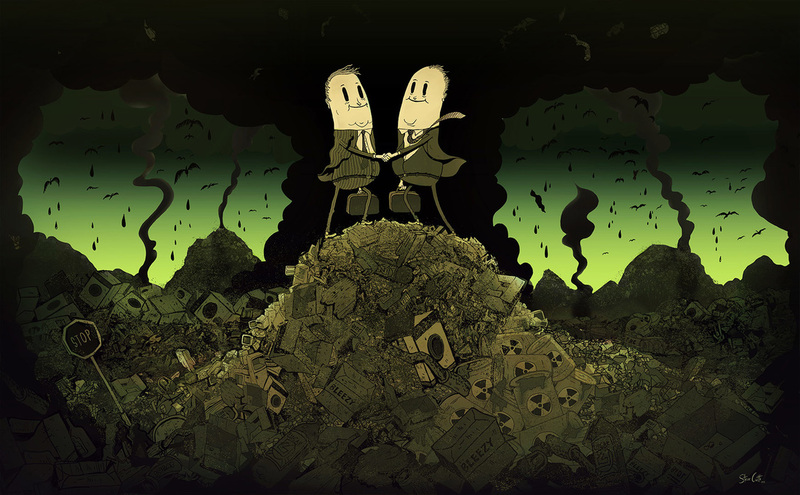 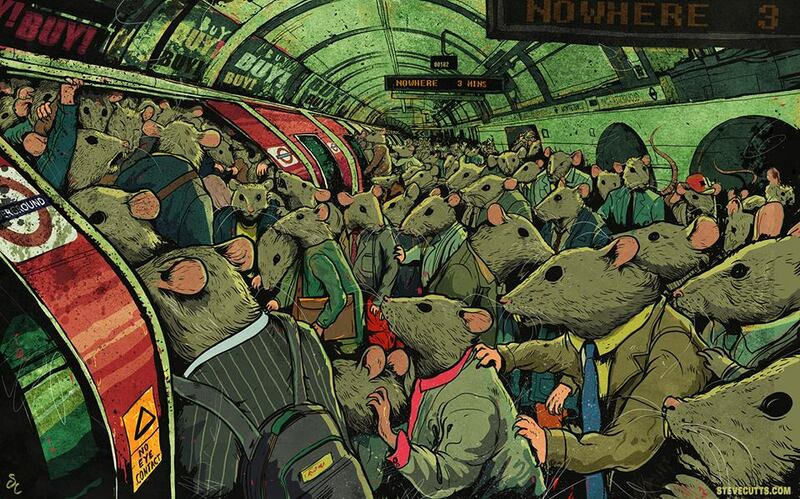 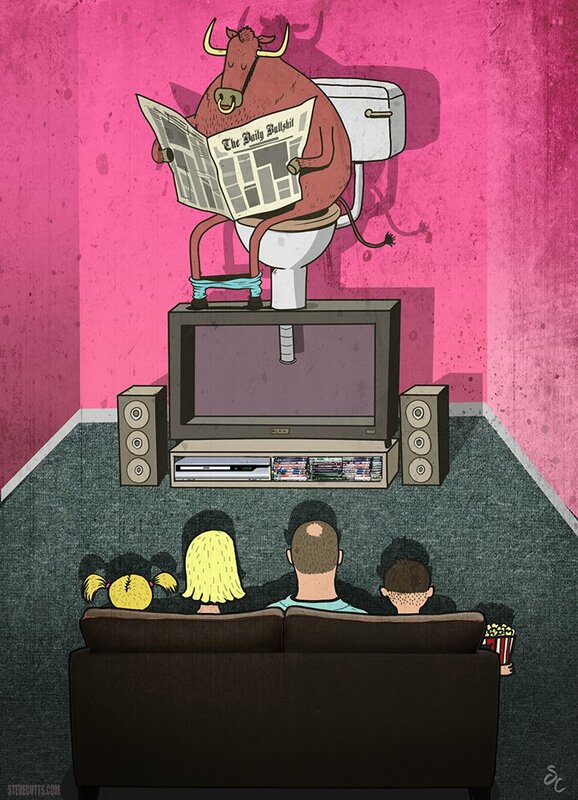 Steve Cutts is a London based artist who uses powerful illustrations to criticize the horrible state of society. 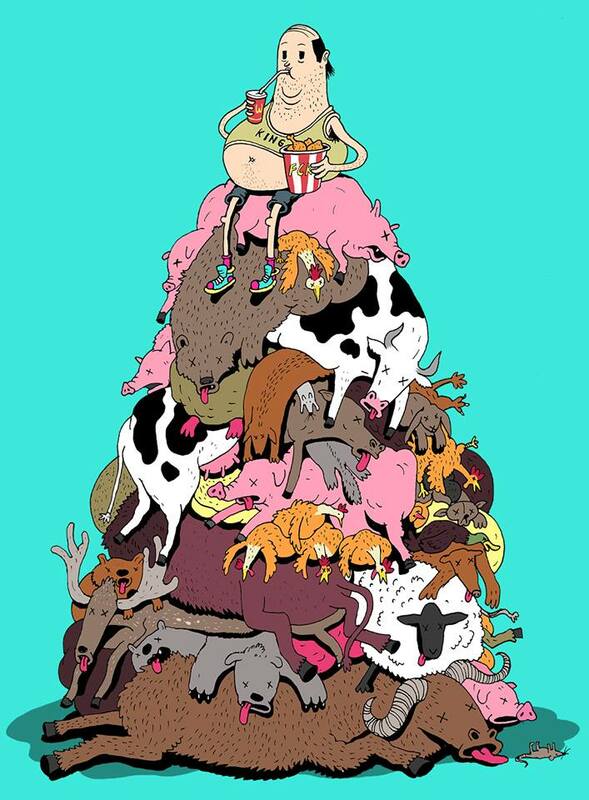 We have Greed, environmental destruction, junk food and TV consumption, smartphone addiction and of course, the exploitation of animals; all important issues have inspired his work. 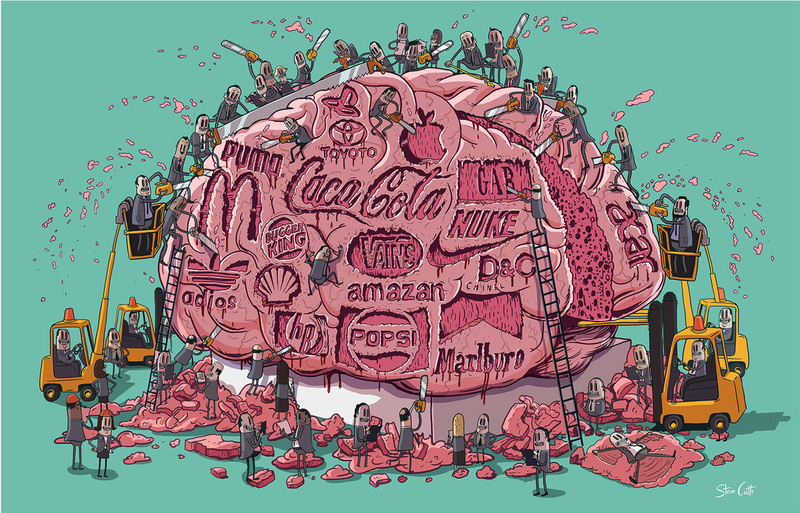 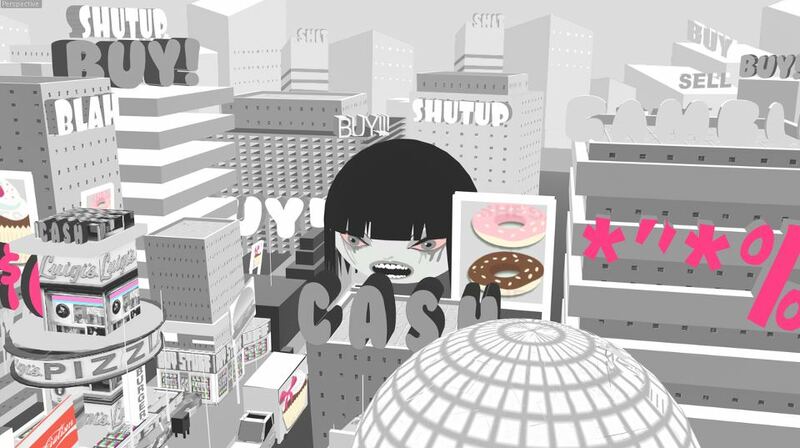 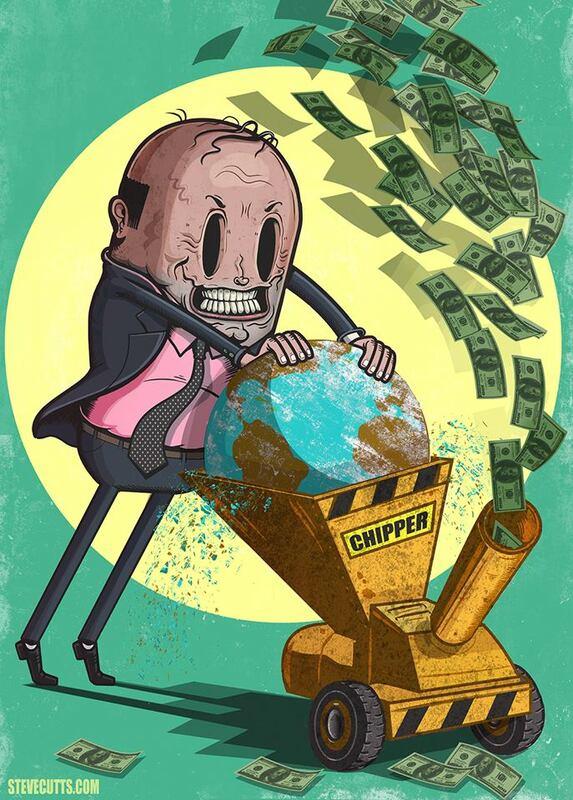 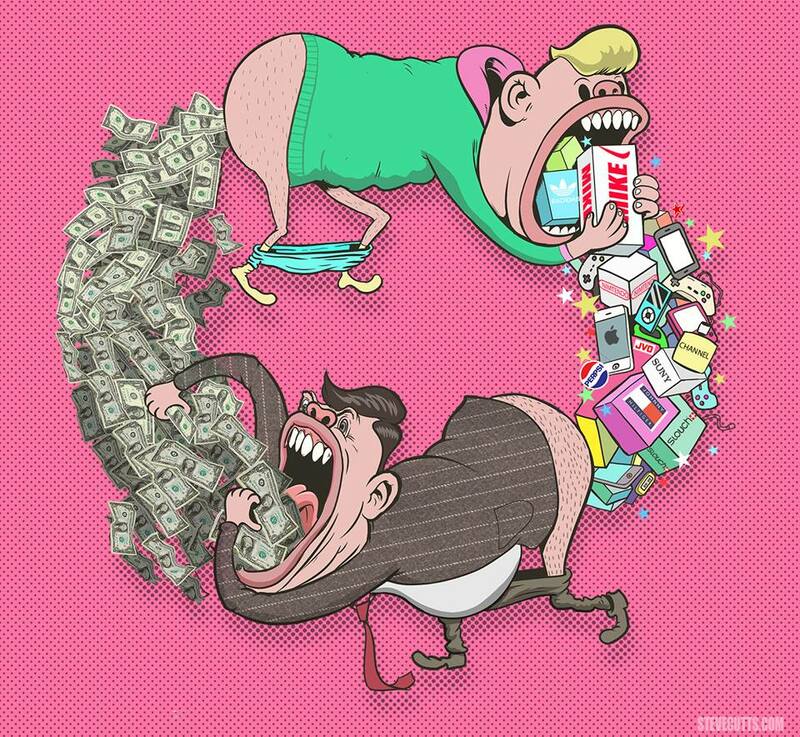 Cutts illustrations prove that this really is a dog eat dog world, where we are persuaded to consume garbage and destroy the planet on a daily basis in order to keep the wheels of consumerism turning. 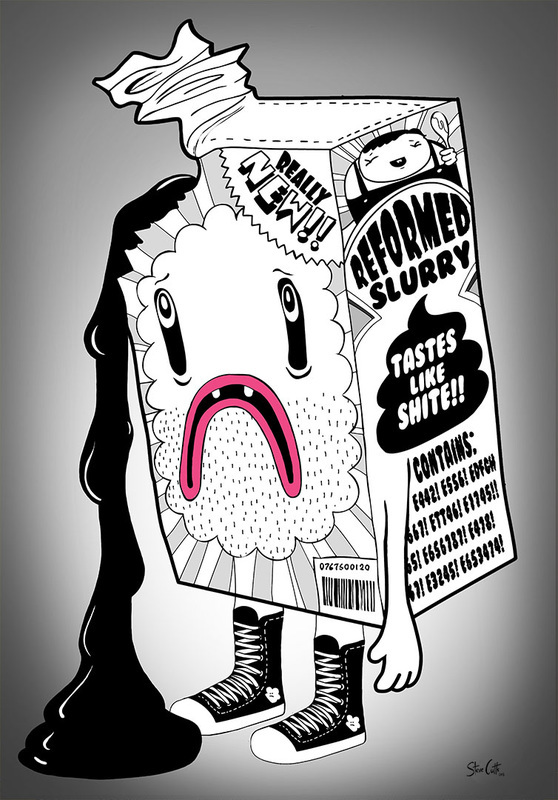 If you like his work you can check out his website here or is Facebook here.